Amnesty International is today publicly challenging leaders within the electric vehicle industry to make the world's first completely ethical battery within five years. At the Nordic Electric Vehicle (EV) Summit in Oslo, Amnesty is highlighting how lithium-ion batteries - which power electric cars and electronics - are linked to human rights abuses, including child labour in the Democratic Republic of Congo (see below), and environmental risks which could undermine their green potential. 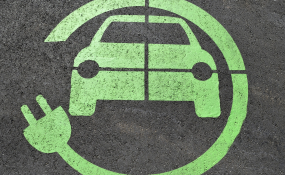 Using the Nordic EV Summit as a platform, Amnesty outlined its vision for an ethical battery which does not harm human rights or the environment at any stage of its lifecycle. Amnesty is calling for action by government, industry, innovators, investors and consumers to create an ethical and sustainable battery, which can be used for electric vehicles and in the electronic industry, within five years. Amnesty has previously emphasised that electric vehicle and electronics companies have a responsibility to ensure their products do not contribute to or perpetuate human rights abuses. Amnesty is now calling on industry leaders to commit to a radical overhaul of their approach to energy solutions. As a first step, companies should publicly disclose information about how human rights abuses and environmental risks are being prevented, identified and addressed throughout the lithium-ion battery's lifecycle. In response to Amnesty's research on Congolese cobalt mines, several leading companies - including Apple, BMW, Daimler, Renault, and the battery manufacturer Samsung SDI - have published supply chain data, and Amnesty is today calling on others to do the same. "Every stage of the battery lifecycle, from mineral extraction to disposal, carries human rights and environmental risks. "Without radical changes, the batteries which power green vehicles will continue to be tainted by human rights abuses. "The massive global corporations that dominate the electric vehicle industry have the resources and expertise to create energy solutions that are truly clean and fair, and we are challenging them to come back to Oslo next year with proof of real progress. "With demand for batteries soaring, now is the time for a drastic overhaul of our energy sources that prioritises protection of human rights and the environment. "With a climate crisis looming, consumers have the right to demand that products marketed as the ethical choice really stand up to scrutiny. "We need to change course now, or those least responsible for climate change - indigenous communities and children - will pay the price for the shift away from fossil fuels." Amnesty has documented serious human rights violations linked to the extraction of the minerals used in lithium-ion batteries, particularly in the Democratic Republic of Congo. A major 2016 investigation found children and adults in the south of the country working in hand-dug cobalt mines facing serious health risks, neither protected by the government nor by companies profiting from their labour. Amnesty's research linked these mines to the supply chains of many of the world's leading electronics brands and electric vehicle companies. Despite projections that the demand for cobalt will reach 200,0000 tons per year by 2020, no country legally requires companies to publicly report on their cobalt supply chains. With more than half of the world's cobalt originating in the Democratic Republic of Congo, the risk of batteries powering electric vehicles being tainted with child labour and other abuses is unacceptably high. The environmental impact of producing batteries is also a concern. Most of the current manufacturing of lithium-ion batteries is concentrated in China, South Korea and Japan, where electricity generation remains dependent on coal and other polluting sources of power. This means that, while electric vehicles are essential for shifting away from fossil fuels and reducing greenhouse gas emissions, more needs to be done to reduce the carbon footprint within the manufacturing phase. Meanwhile, rising demand for minerals like cobalt, manganese and lithium has led to a surge in interest in deep-sea mining, which studies predict will have serious and irreversible impacts on biodiversity.